Palmer’s Best Day Ever Playhouse stands almost 5 feet tall! 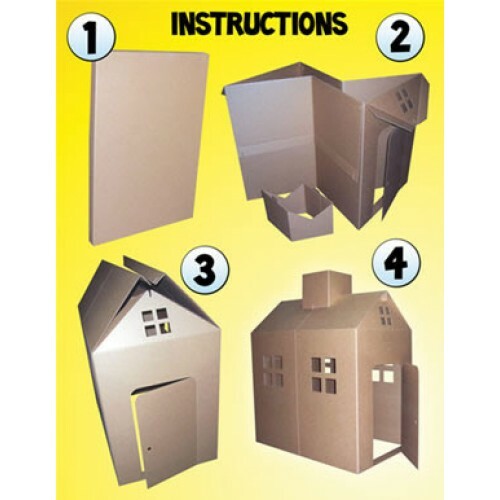 Not only is the cardboard playhouse easy to assemble, it can be assembled in less than 5 minutes! 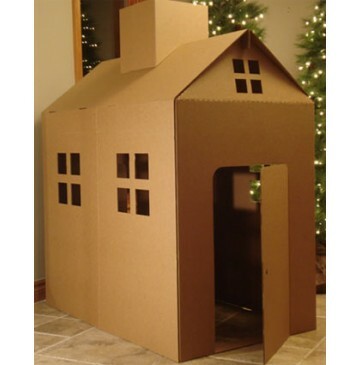 Ready to decorate, just let your kids artistic talent shine – the playhouse can be custom decorated or painted. Perfect for the school classrooms and daycares. It is easy to take down and store for later play. The playhouse features windows, door and chimney. 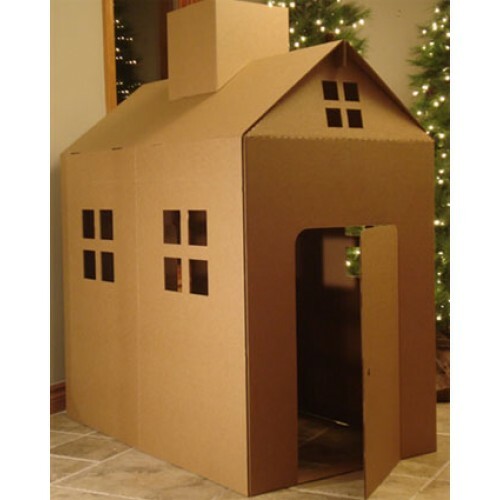 Made of a ridged corrugated cardboard, the playhouse measures 58″H x 30″W x 48″D. Children will have their best day ever while playing in the Best Day Ever Playhouse! 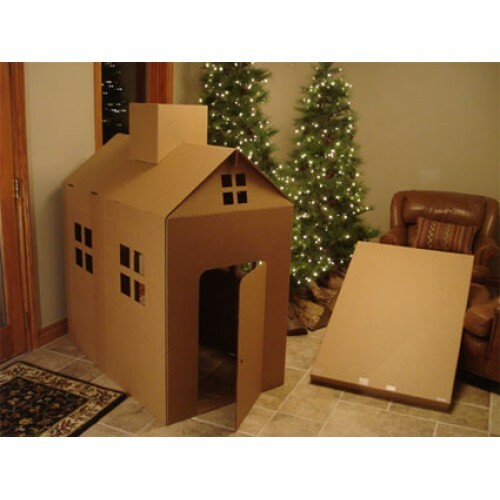 This cardboard playhouse is easy to set up and take down. Ready to play and decorate. Palmer's Playhouse Stands Almost 5 feet tall!